If you’re feeling pain in your shoulder, you may have a rotator cuff tear. However, there are other symptoms that you may notice if you have this type of injury. Advent Physical Therapy has been helping residents of the greater Michigan area with their physical therapy needs for more than 20 years. Our team believes that information is the key to you getting the most out of your therapy. That’s why we’ll always take the time to answer any questions you have about your condition or the therapy plan we build for you. We think that this not only helps you with your therapy but it also helps you become generally better informed. One type of injury our team can help you understand better is a rotator cuff tear. Our team knows that rotator cuff tears are common for certain individuals. However, you may not know what this injury is or what its symptoms are. Our team at Advent Physical Therapy knows that your rotator cuff is an important structure in your shoulder. It’s made up of four muscles that cover the head of your upper arm bone, and these muscles also help anchor your upper arm bone in your shoulder socket. We also know that the rotator cuff is vital for several types of arm movement. For instance, we can tell you that you’re only able to raise and rotate your arms because of your rotator cuffs. Our team has seen the symptoms of rotator cuff injuries occur in many types of people. However, we’ve also noticed that some people are more at-risk for rotator cuff injuries. For instance, we know that carpenters and painters spend many hours a day with their arms over their heads. This repetitive lifting can easily result in rotator cuff damage if you aren’t careful. Also, we’ve noticed that people who play tennis and baseball seem to have a greater chance of injuring their rotator cuffs as well. Again, the greater risk for these people seems to come from the frequent strain they place on their arms when they’re lifted above their heads. Have you noticed any or all of these symptoms? Don’t worry! Advent Physical Therapy is here to help you. We have 13 Michigan locations that you can choose from for your therapy. 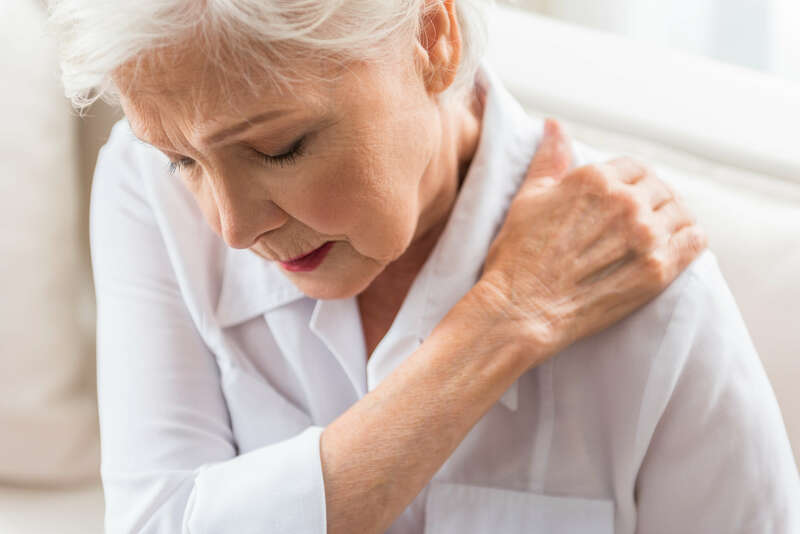 We even offer free 15-minute screenings to make sure your pain is being caused by a rotator cuff tear and not some other shoulder condition.